As Honda Cars India prepares for the new-generation Jazz launch, dealers across the country have started taking bookings for the premium hatchback. People looking to buy the car can now book it for a token amount starting ₹ 21,000. 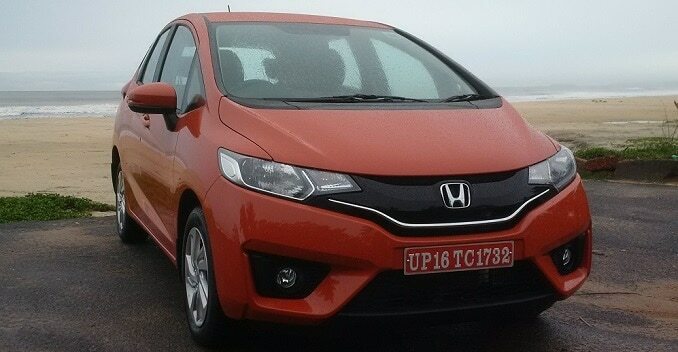 The Honda Jazz had failed to garner a decent reception in India in its last innings. However, it now gets a completely new design and most importantly, a diesel powertrain. Based on the same platform on which the new-generation City is built, its engine options will include a 1.5-litre i-DTEC and a 1.2-litre i-VTEC petrol. While the former churns out a maximum power output of 99bhp and 200Nm, the latter is tuned to develop almost 88bhp and 110Nm. Fact: The Jazz's diesel engine is the same as the one that powers the City, Amaze and Mobilio. However, Honda has given it almost 8 per cent taller gear ratios than its siblings to allow higher fuel-efficiency. The new Jazz hatchback's transmission options will include a 6-speed manual (diesel), a 5-speed manual and a 5-speed CVT automatic (petrol). The unavailability of a diesel engine and the high pricing are the 2 things that worked against the previous generation Jazz. That won't be the case this time around since the new-gen model of the premium hatchback will come with a diesel unit, and will also feature a high level of localisation that could allow it to be priced competitively.